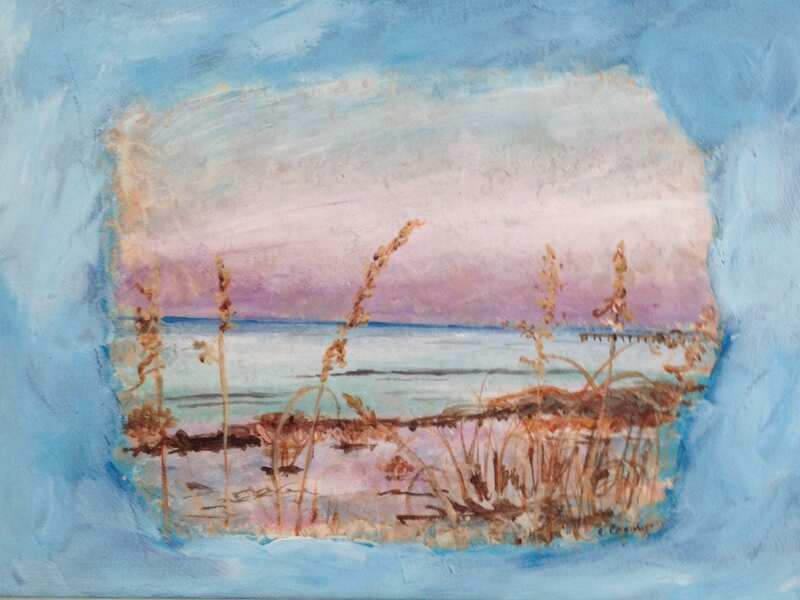 Textured mixed media original painting of a St. Theresa, FL beach in vignette spotlight. This beautiful beach is so quiet and protected; the dolphins play without fear while you stand in the warm water nearby. An amazing place! The painting has an appealing aged veneer. I used torn wallpaper securely glued to a 9 x 12 inch canvas panel to create the rough substrate for this acrylic painting. It is finished with multiple layers of matte varnish. It is signed on the front, with art information on the reverse.